The End of Quantitative Easing – Perhaps Now It Will Be Inflationary? One of the greatest monetary experiments in financial history has been the global central bank buying of government debt. This has been touted as a form of “money printing” that was supposed to produce hyperinflation, which never materialized as predicted by the perpetual pessimists. 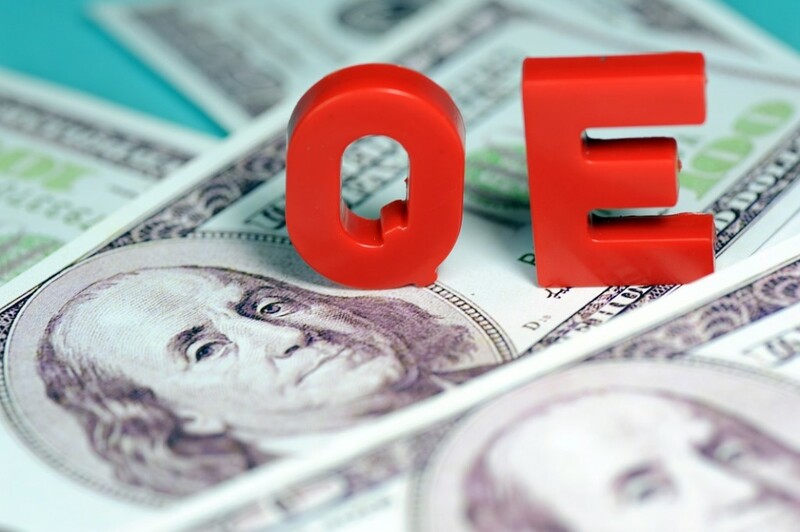 Nevertheless, the total amount of Quantitative Easing (QE) adding up the balance sheets of the Federal Reserve (Fed), the European Central Bank (ECB) and Bank of Japan (BOJ) is now around $13.5 trillion dollars, which by itself is a sum greater than that of China’s economy or the entire Eurozone for that matter. If QE failed to produce inflation, then ending QE may actually produce the inflation people previously expected. Where’s the strange logic in that one? Well you see, it really does not matter how much money you print, if it never makes it into the economy, it will not be inflationary. Additionally, even if it makes it into the economy and the people hoard for a rainy day, it still will not be inflationary. 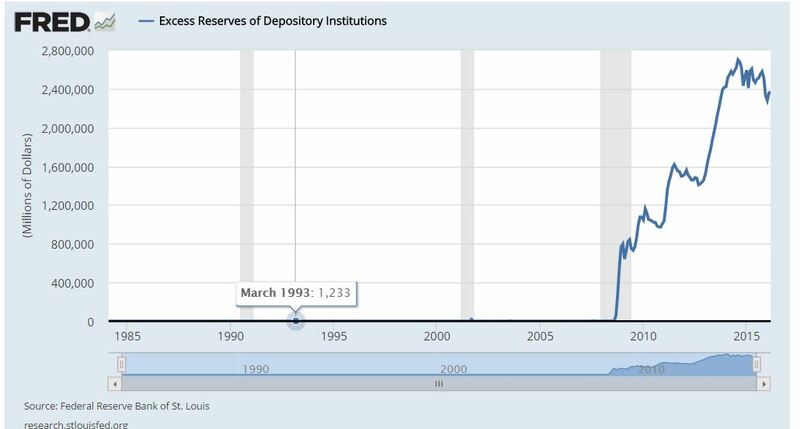 The craziest thing the Fed did was create excess reserves. The bankers complained that the Fed was buying the government debt so they would have no place to park their money. The Fed then accommodated them creating the Excess Reserves facility and paid them interest for absolutely no reason whatsoever. Almost $3 trillion was parked at the Fed collecting interest so that $4.5 trillion of “printing” money never made it out the door. Hence, there was no inflation to speak of (outside of healthcare which always rises no matter what), and people hoarded. The pundit kept calling for a crash in the stock market but overlooked the fact that retail participation was at historic lows. Why? They were hoarding their money. 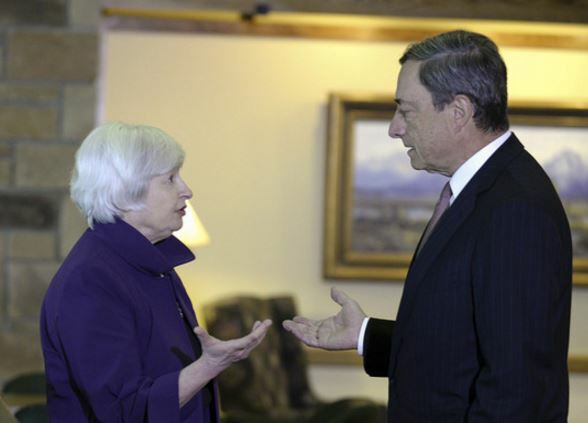 So how does stopping QE actually create inflation? The withdrawal of the Fed, the ECB and the BOJ from the QE programs will lead to an increase in yields on the bond markets sending the financing costs for the states higher. This will now increase government spending & borrowing much more rapidly even if they fail to increase program spending. Governments are not looking at this at all because they always assume what worked before will resume. This is predicated upon the notion that people will continue to buy government debt. Governments have increased their spending sharply because interest rates were effectively zero and the central banks were buyers. Where the national debt under Ronald Reagan reached $1 trillion for the first time, Obama routinely ran $1 trillion budgets annually. Now comes the moment of truth. Has QE undermined the bond market to such an extent that only a blind fool will buy government debt in an atmosphere of rising rates? How can bonds survive and the system of perpetually borrowing year after year without ever paying-off the debt continue indefinitely? Such theories cannot ever see that the economy is a cycle and that just because they could sell their bonds today does not guarantee they will be able to do so tomorrow. Moreover, other sectors of the global financial system have been seriously disrupted. For one, European banks were shipping cash to their US branches and also parking it at the Fed, whereas the ECB was charging negative rates. Furthermore, of the $13.5 trillion on the balance sheets in the Fed, ECB & BOJ, they are now trapped and cannot sell that debt back to the marketplace. This means they are screwed and they have to wait for that debt to mature in order to reduce their balance sheets. They have no way out. Since the central banks cannot resell what they bought in the $13.5 trillion white elephant, they are also loaded to the gills with government paper. The ECB is the most vulnerable because it owns 40% of European government debt of member states. As the economic conditions tear the union apart, the ECB balance sheet is the most vulnerable of all and prone to default. Additionally, this trio of banks has exhausted their arsenal. The Fed needs to raise rates to be able to try to reduce them during a decline, but they cannot buy more government debt without ballooning themselves to the point they risk their own default. A default of a central bank, as Jackson did to the Bank of the United States, was followed by the Panic of 1837 and the State Sovereign Defaults of the 1840s creating a depression, which set the stage for the civil war. The Fed had a balance sheet of about $900 billion in 2008, whereas it currently stands at about $ 4.5 trillion. The Bank of Japan recorded an increase of 107 trillion yen in the same period of time to about 490 trillion yen or also about $4.5 trillion. Then we have the ECB which has more than doubled its balance sheet from EUR 2 trillion to EUR 4.1 trillion or also about $4.5 trillion. The central banks bought the government bonds from the commercial banks and paid them money created out of nothing which is how the pessimist put it. In theory, that is elastic and if the government debt matures, it then evaporates from the balance sheet. Here comes the problem. The governments continue to borrow. With the central banks no longer buyers, interest rates can rise faster than anyone expects because they will have to entice fresh buyers. If that fails to materialize, then we come to the Sovereign Debt Default crisis. The Federal Reserve had recently announced that it would no longer reinvest its gains on government bonds that had matured into new US securities, resulting in a shortening of the balance sheet. Bills of $426 billion will be due at the Fed in 2018, and again about $357 billion a year later. So if the Fed will not repurchase that debt, then the amount of new debt coming to the market will DOUBLE. The Treasury will be forced to find ways to absorb the additional supply if the Fed wants its cash back, so the Treasury must find a lot more private buyers. The shrinking of the balance sheets represents the continued deflationary trend from a real economic expansion trend. The government will be competing for cash in an ever growing tighter economy. The balance sheet of the Japanese central bank is likely to be expanded for a while as long as the targeted inflation target of 2 percent is not reached. The ECB’s balance sheet will continue to grow at least until the end of the year, as the borrowing program has been running until then. However, the negative effects of the balance sheet shortening of several central banks will mutually reinforce each other in 2018 and help to bring the financial crisis to a head for 2018-2020. The withdrawal of the ECB’s purchases of securities that also included European corporate paper will lead to secondary effects even outside Europe and help to further maintain the deflationary aspects with respect to economic growth. This will serve to demonstrate the unintentional impact of this entire unorthodox monetary policy experiment. Therefore, at this year’s WEC, we will be looking at this complex crisis. The inflation will be asset inflation – not demand inflation. So hold on – this is going to be the craziest ride in monetary history of humankind.